The following table has been collated to show a comparison between the main prepaid funeral plan providers. It shows the advertised prices of funeral plans in November 2018 (including a contribution to third party costs) from the main plan providers. It also shows additional fees and commissions often taken from the starting plan prices when these providers sell directly to a consumer. These additional sums dramatically reduce the starting value of the plan and seriously affect the potential future value that a funeral director will receive to carry out your funeral. Do you want your family to have to find more money at the time of need? It could happen. If you buy a plan through a funeral director (ideally an independent) you will almost certainly be getting better value for the same money and you’ll be supporting local business at the same time. More information can be found at the Open Prepaid Funerals Blog here. Open have one single admin fee of just £195.00 which is included in our plan prices. The other providers listed all have fees and costs that are higher, some running to more than £1,100.00! Don't get caught out, choose Open. Open by name, open by nature. It is Opens belief that funeral plans, although currently unregulated, are to all intents and purposes, a financial product and as such should be bound by the same rules regarding transparency of fees and commissions as other regulated financial products. This isn’t currently the case. The figures above show just how much of the money you pay is taken by the funeral plan provider and does not go towards the future value of your plan. In the end the figures speak for themselves don't they? If your plan value is too low then there just won't be enough money at the time of need. Plans that are sold directly to consumers by many providers are effectively diluting the overall value of their whole fund. It’s this sort of activity that has caused the FCA to start investigating whether it should be fully regulated or whether the FPA will be given more power to police the industry. The best way to buy a funeral plan is through your chosen independent funeral director. 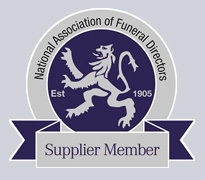 Ask them to choose Open or buy directly from us and we'll speak to the funeral director for you. Either way you'll be getting probably the most balanced option available today and everything you pay other than the £195.00 admin fee goes into your plan. Other Additional Fees/Drawings - the figures in this column can vary with some providers so a balanced view has been taken and not just the highest value known to us has been shown. If no initial administration fee has been shown then this is because it is not easily identifiable but has been wrapped up in the other additional fees/drawings column. The Golden Charter Value Plan is available at £2895 but only has a contribution towards 3rd party costs of £800 and other restrictions. These figures have all been independently provided and of course may be subject to change. If you're unsure just ask the plan provider you're talking to for the facts about their plan deductions and ask for the figures to be put in writing to you. In relation to Perfect Choice (Ecclesiastical) the additional fee is an optional fee that can be taken by the funeral director arranging the funeral plan and doesn't necessarily apply to every plan. This table isn't intended to 'knock the competition'. It's simply to inform and raise awareness. Ultimately it's up to you the consumer to do your research, ask questions and make an informed decision. Prepaid Funeral Plans are a good idea and a sensible part of future planning.